A red weedy looking plant popped up in my new beeyard a week or two ago, the kind of plant that looks to my eye like something I’d see in the woods in a clearing alongside an old logging road. Honey bee on sorrel in Flatrock, NL (June 27, 2015). Tiny flowers bloomed on the red weedy plant a couple days ago and today, even though it’s a cold hazy day like it’s been all week, the bees were all over the flowers. 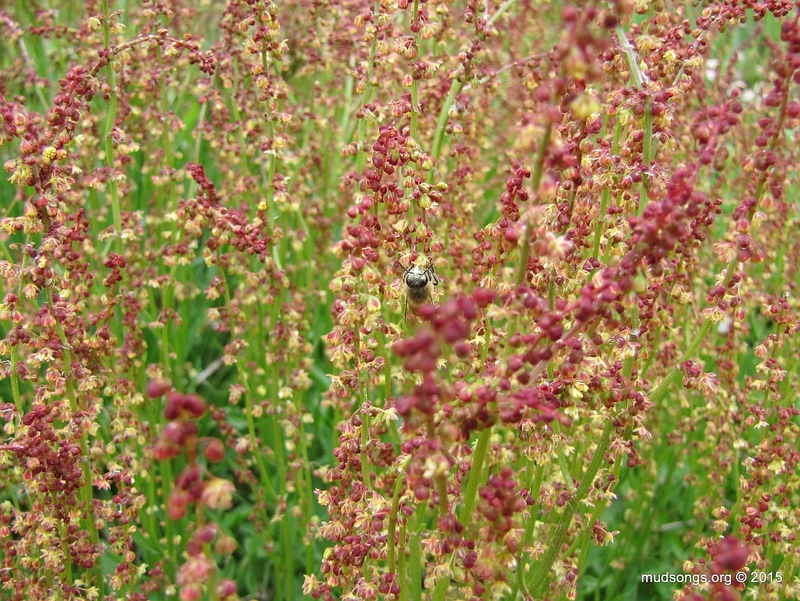 Honey bee collecting sorrel pollen in Flatrock, NL (June 27, 2015). 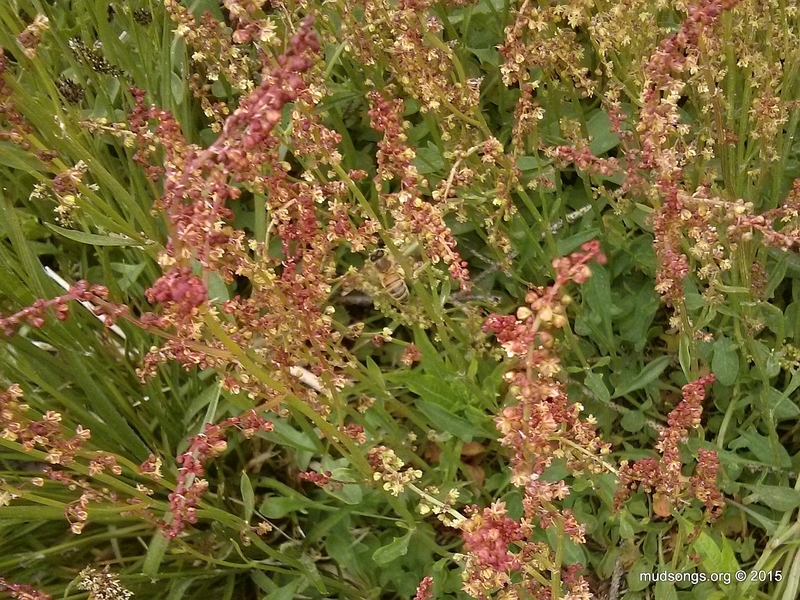 I was informed today that the plant is called Sorrel and the leaves are edible, kind of the tangy side, though not so delectible for humans once they’ve gone to seed. 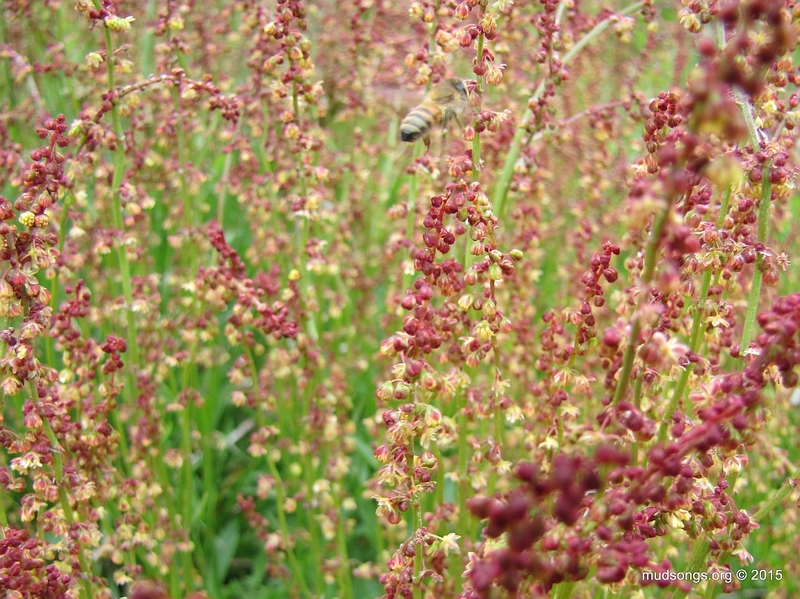 Honey bee in sorrel in Flatrock, NL (June 27, 2015). It’s a boring video for normal people, but good beekeepers who pay attention to this kind of thing probably don’t meet the definition of normal too often. So be it. 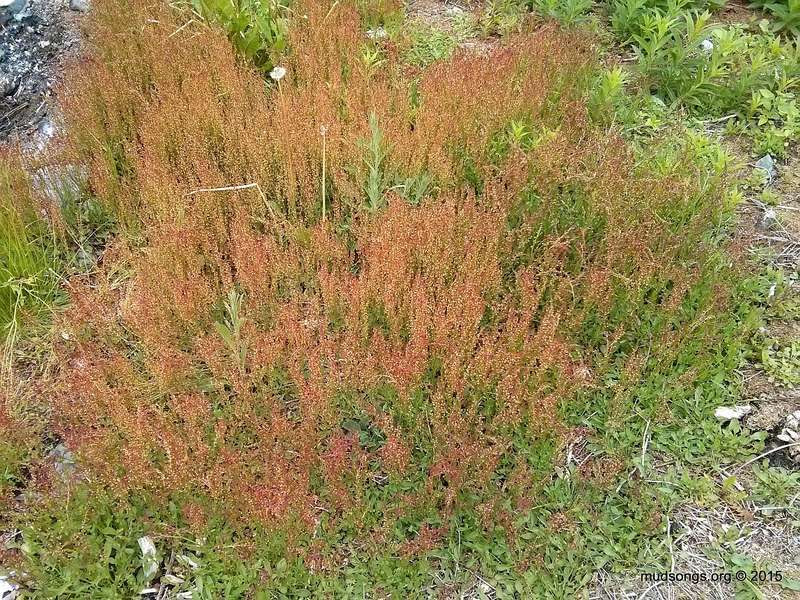 Wide shot of sorrel in Flatrock, NL. 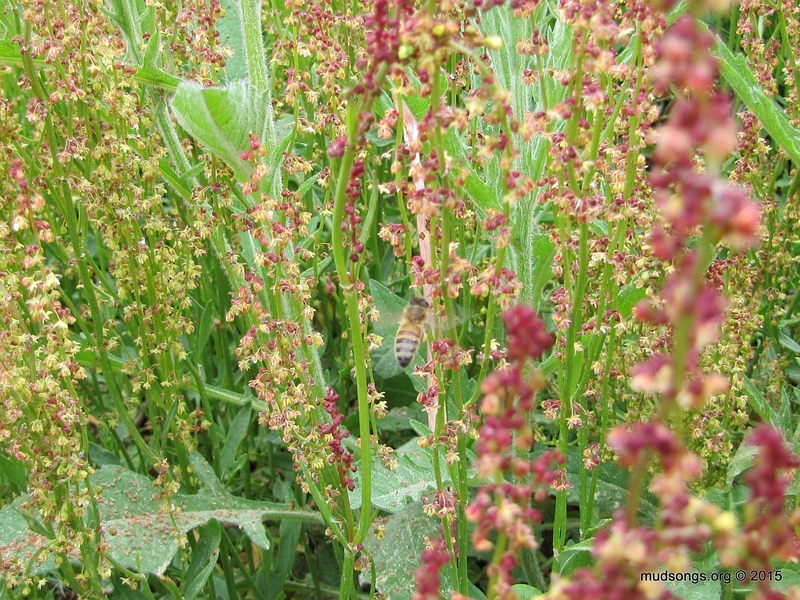 This entry was posted in Flowers, Month of June, Sorrel, Year 2015 and tagged Newfoundland Honey Bee Forage, Video. Bookmark the permalink. Nice post! As beekeepers, I think we tend to just want to plant the “big honey producers,” but the bees appear to like a real variety of plants. I used to have sorrel in my herb garden — used to. It tasted like oxalis to me, so I don’t grow it any more. However, seeing your post, I’m thinking that it might have a place in my garden again (or in just a corner of the yard).